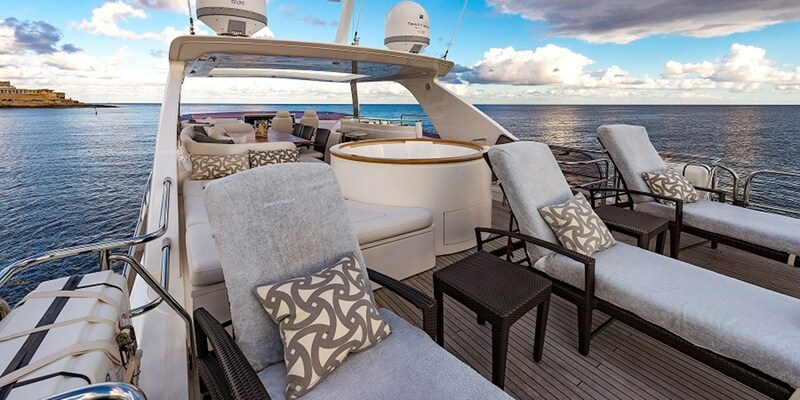 New to the market, the immaculate 2012 Princess PACENZJA has only been privately used since new and beautifully maintained as shown by her new photography. PACENZJA is a hardtop with retractable awning on the spacious sundeck to shade the long bar and dining table. The interior is welcoming and elegant with 4 guest cabins for 8 guests, comprised of the master suite, VIP and 2 twin cabins. Further features include the hydraulic rise & fall bathing/tender launching platform and stern docking station (in addition to bridge & fly bridge). If you have clicked through from our monthly newsletter you can hit reply on your newsletter e-mail to contact your TWW team member directly. If not please do send us a quick message using the contact box above.